When we looked at the need for policies to protect heritage property owned by the province, we saw that the demolition of the old lunatic asylum in Toronto in 1976 was perhaps a watershed moment (see “Policies for the protection of provincially-owned property (part one)”, from May 31, 2015). 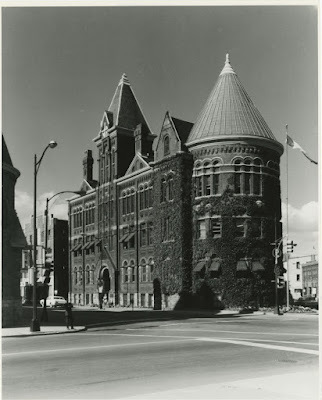 The other was in Chatham in 1981 when the grand old Harrison Hall, Chatham’s city hall, fell to the wrecker’s ball. I remember the consternation this caused at the culture ministry in Toronto at the time. The OHA had been passed in 1975 and the revamped Ontario Heritage Foundation (now Ontario Heritage Trust) had grant money for preservation projects. But despite provincial and local efforts, council was not persuadable. Again, a mall rose from the ashes. More recently, we have seen notable successes in rescuing civic buildings that were at risk, often as a result of amalgamations. 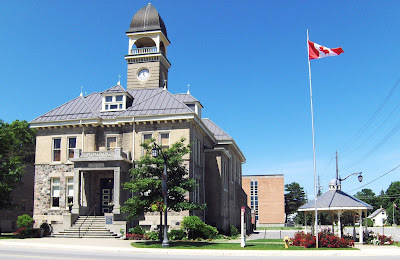 My favourite is Victoria Jubilee Hall — the fight to save Walkerton’s old town hall gave birth to the local branch of Architectural Conservancy Ontario and ACO now owns the building. 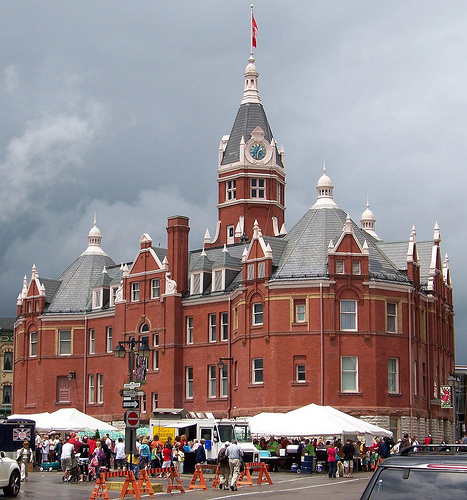 What do we learn from all this about how to protect municipally-owned heritage? First, use of listing and designation is crucial. Even more so than with private property, as municipalities should be leading by example. Listing flags a heritage property and provides interim protection. Designation provides long-term protection. While it’s true, as we saw last time, that with these powers the municipality ultimately controls the levers, it must still follow the process set out in the OHA. It must at least consult with, and consider the advice of, its municipal heritage committee. In the case of de-designation (almost always a bad idea), its actions are also subject to review by the Conservation Review Board if there are objections (which there almost always will be). While it cannot be appealed, demolition of a designated structure is not something any city, town or township would contemplate lightly. Even alterations will be subject to sharp scrutiny. Here in St. Marys the Town proposed removal of a chimney of the designated town hall, creating a big fuss — and hasty back-pedalling. When a City-owned property on the Heritage Register is no longer required for its current use, the City will demonstrate excellence in the conservation, maintenance and compatible adaptive reuse of the property. Not to be overlooked is the Ontario Heritage Trust’s heritage conservation easements program, which further protects many municipally-owned structures such as Stratford City Hall and the Wellington County Courthouse in Guelph. (Note 4) The province — both the Ministry of Tourism, Culture and Sport and the Ontario Heritage Trust — is of course also a great resource and active promoter for the municipal policies and actions discussed above. And then… there’s provincial public infrastructure funding! 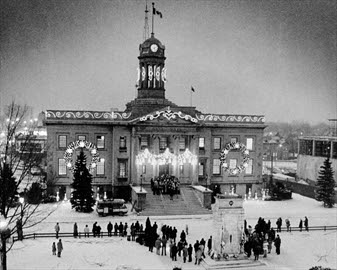 Finally, and most especially, the role of citizen vigilance and activism, which has effectively preserved so much of our civic (and non-civic) heritage, often through hard-fought battles — whether for the town hall on the square, the bridge on the river or the by-law or policy on the books. Note 1: Kitchener’s decisions here were approved by public referendum. Note 4: The Trust’s easements program is generally a reactive, rather than proactive, one, and because of funding limitations has become over the years less focussed on cultural heritage and more on natural heritage.